Shelf in my Master Bathroom using galvanized pipe hardware! 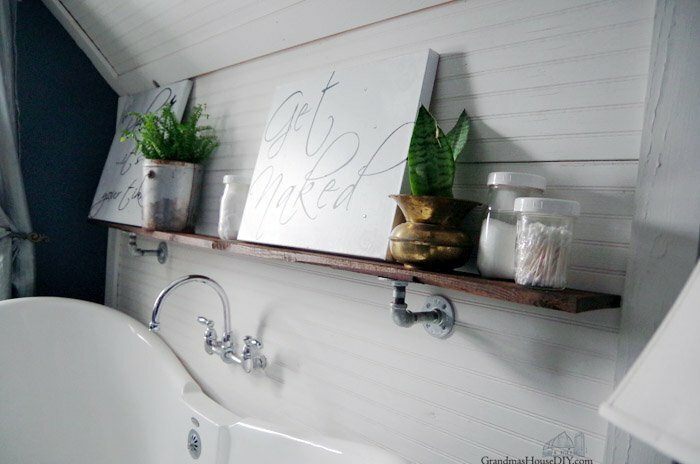 Adding a Shelf in my Master Bathroom using galvanized pipe hardware for storage, plants and creating a homey, comforting, green space that just says, relax and enjoy and bathe in peace and quiet. DIY, do it yourself, how to hang a shelf using pipe hardware store.